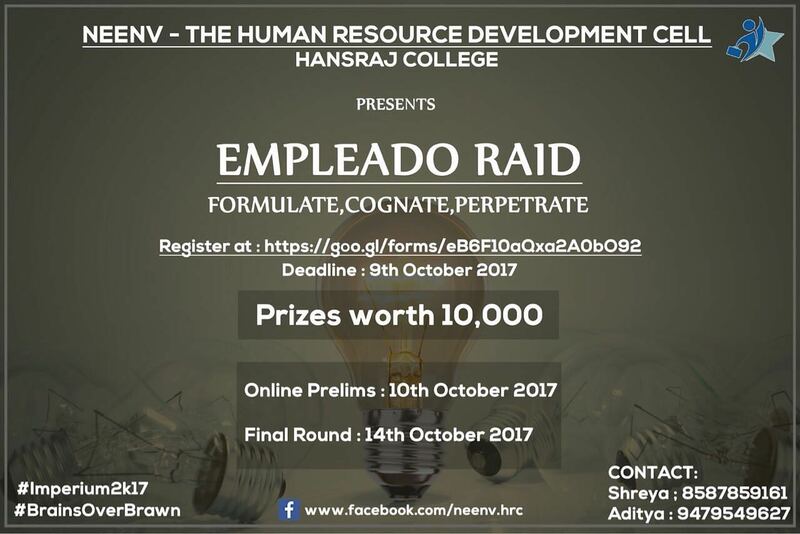 The Empleado Raid– Formulate, Cognate, Perpetrate in the wind of its annual business fest ‘Imperium2.0‘. That’s all what is needed to test your acumen, and awaken the manager inside you. Register yourselves in a team of two. Cross-college teams are also allowed.